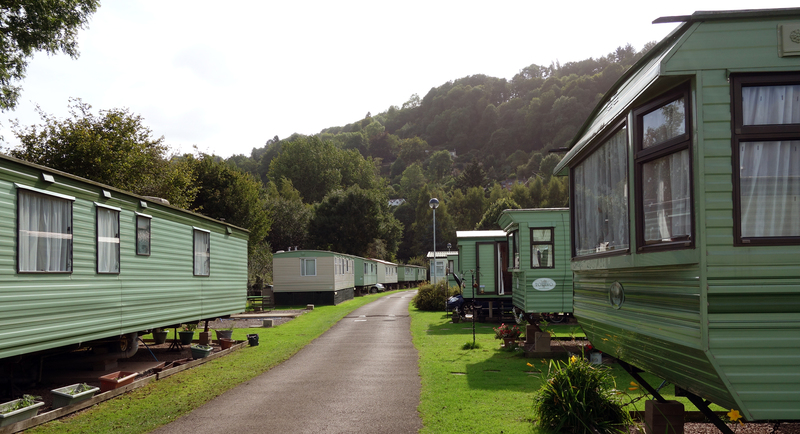 Sterrett’s Caravan Park and Campsite has been carefully developed over many years and is set in the beautiful Wye Valley at Symonds Yat West, Herefordshire. 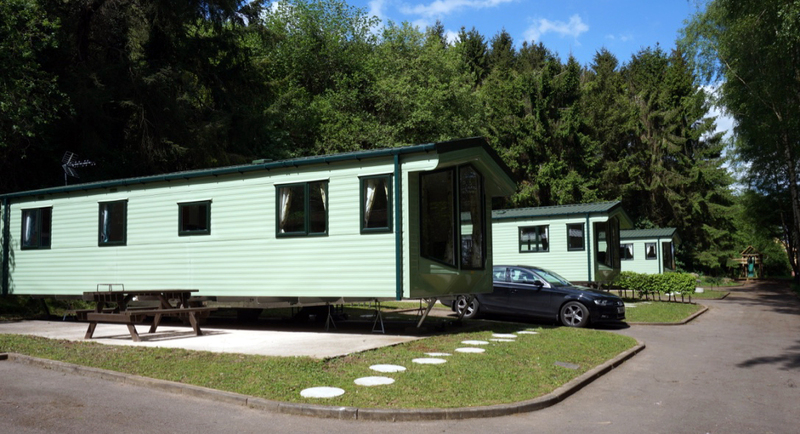 The Caravan Park is a mixture of static caravan pitches that are rented out to holiday makers, static holiday caravans which we rent out ourselves, a motorhome/camping site and a beautiful holiday lodge. 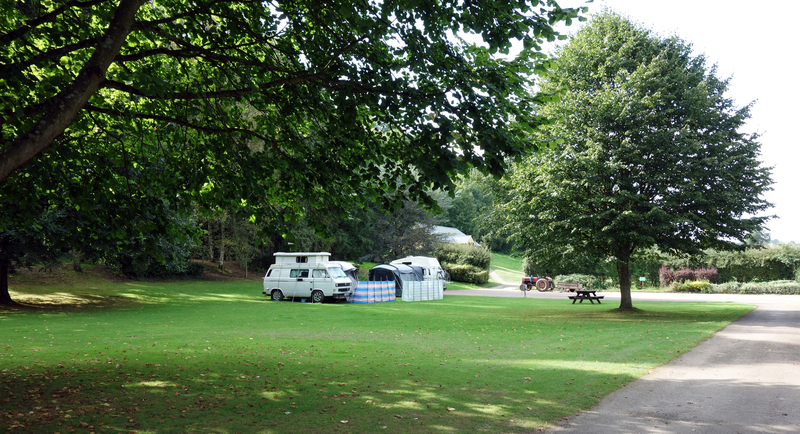 The Caravan Park is well maintained and consists mainly of privately owned static caravans. Pitches are available for new caravans of your choice. Tents and camping are provided for in a separate area, together with a newly fitted shower/toilet block with a disabled toilet, and hairdryer (2017). A launderette and ironing facilities are also available. Campers will enjoy a comfortable, tranquil and rural setting to pitch up their tents, the campsite is ideal for families. 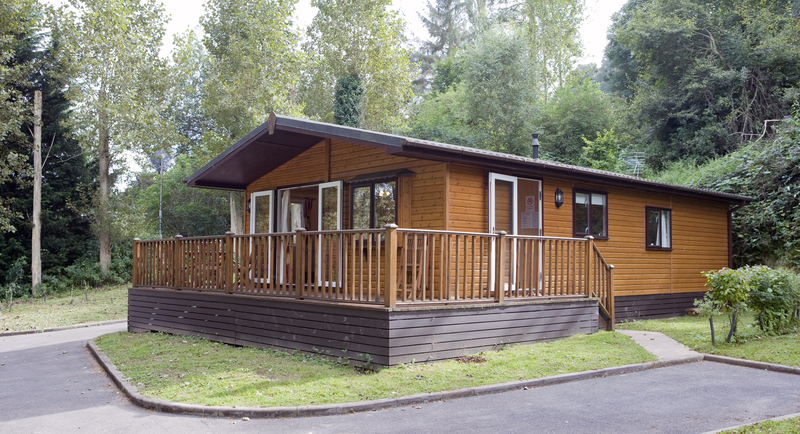 If you would like to stay in Symonds Yat, and explore Herefordshire and the Royal Forest of Dean then why not consider renting our spacious self catering holiday lodge. Our 3 bedroom self catering holiday lodge has been constructed and fitted out to a high standard with TV, DVD, adequately fitted kitchen with dishwasher and modern bathroom facilities. There is lots to do for children and families in Symonds Yat, with woodland trails, boat trips and a beautiful historic Norman Castle in nearby Goodrich. 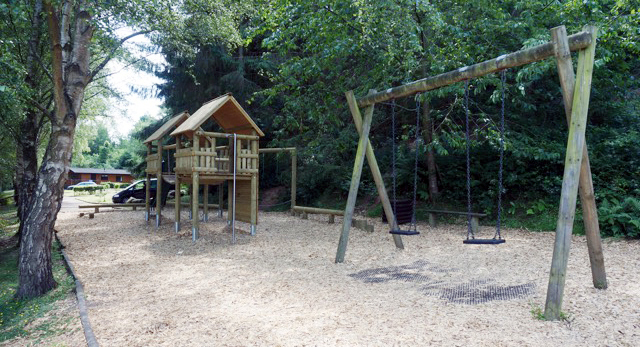 We have also created a fun play area for children on the campsite, with slide, swings and climbing structures. 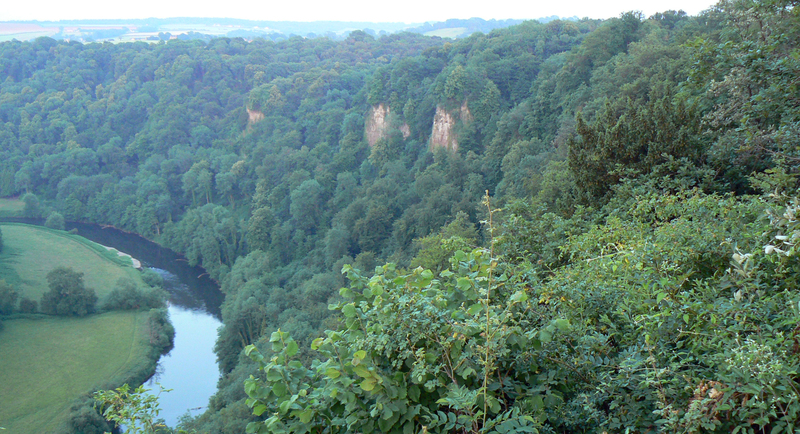 Symonds Yat is in an Area of Outstanding Natural Beauty and is well known for its tranquil riverside and forest walks, cycling, canoeing, kayaking, climbing and fishing. We are perfectly situated to explore Herefordshire, Gloucestershire, The Wye Valley, Forest of Dean, Ross on Wye, Monmouth and South Wales.